Can Those With Disabilities Contribute to Society? Can children and adults with disabilites be contributing members of society? Ellen Stumbo addresses that question in today’s guest post. 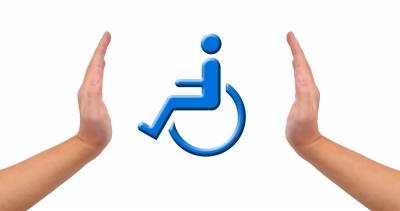 Are people with disabilities contributing members of society? Let’s be realistic, depending on their disability, they might need life-long care and someone to provide for all their needs. Depending on their intellectual disability, they will might not be scientists, doctors, or teachers. Depending on their disability, they might not have businesses that will provide employment for the many people out of jobs. Nonetheless, how wrong would it be if we assumed this was true for all people with disabilities! There are individuals with different challenges–like autism, cerebral palsy, ADD and others–with an IQ higher than the rest of us average people. They are doing amazing things. They are doctors, teachers, scientists, or great mathematicians. Contributing Members of Society or a Burden? But what about those that do require life-long care? Are they contributing members of society? Or are they a burden? Once, I thought that having a child with Down syndrome would be a burden. I believed that being smart was one of the most important qualities to have. I found success defined by performance and maybe even a bank account. So I did not welcome my new baby with open arms and a cheerful heart. The inevitable happened, I fell in love, madly in love with my child. In doing so, I changed, I recognized that the value of a child, of a life, of any person, is not found on what they can or cannot do. I began to look more closely at what it means to be a contributing member of society, because I saw that my daughter not only changed me, but the rest of my family, my church, my friends, and many people we met. It is hard to feel unconditional love and not be moved by it. Why Do Contributing Members of Society Take So Much? Us “normal” people claim to be contributing members of society, yet, why is it that we take so much? We easily put our careers before our family, the people we claim to love the most. We spend hours in front of a computer screen, interacting with our Facebook friends instead of interacting with our children, our spouses, our neighbors. We fight each other based on our political preferences, or we ridicule each other based on religious beliefs. We compromise our integrity to get a job promotion. We gossip, and we talk about people behind their backs. We pretend. We hate. We lie, we cheat, we take advantage of the weak. So I focus on people that might have severe intellectual or physical disabilities and accept that they do take from us, they require lots of care, support, and therapy. But they give so much more. They offer unconditional love, the kind that has no strings attached, it is pure, strong, real. They radiate joy as they celebrate the simple things in life. They cheer, celebrate, and encourage. They teach us compassion, acceptance, and humility. They remind us to be thankful for the many blessing that we have. They show us, in a profound way, what it means to be whole. People with disabilities are contributing members of society. They show us what really matters in life, what it means to be human, what it means to be loved and accepted simply for being, not because of what we can or cannot do. And I am thankful, so very thankful that in my own brokenness, in the brokenness of this imperfect world, we all need each other. And we all have much to contribute. How Do the People with Disabilities Contribute to Society? How do people with disabilities you know contribute to society? Leave a comment to share your thoughts! Very profound and convincing view. Perfectly stated. Who are you quoting, Myra? Thank you, Melissa. Your “across the miles” book club sounds like a wonderful way to support one another. I agree with you, and I’m sure Ellen does, too. Thanks for the link to your post on the topic. Readers, if you liked Ellen’s post, check Melissa’s out, too. She has a great site! And by the way, some mom friends with boys with the same condition as my son (Hunter Syndrome) and I have just bought one of your books for our “across the miles” Skype-likely book club. Can’t wait to dive in! Very good thoughts. I wish the greater world would celebrate the gifts of disability instead of tolerate the burdens. I just thought and wrote about similar issues at “Is a disability-free world a *perfect* world?” http://www.savingcase.com/index.php/2013/04/30/is-a-disability-free-world-a-perfect-world/. Yes, Ellen always has a thoughtful perspective to share. Glad you enjoyed it Ruth. I can’t wait to hear what you have to say about it. I can’t wait to tell you all about the app.